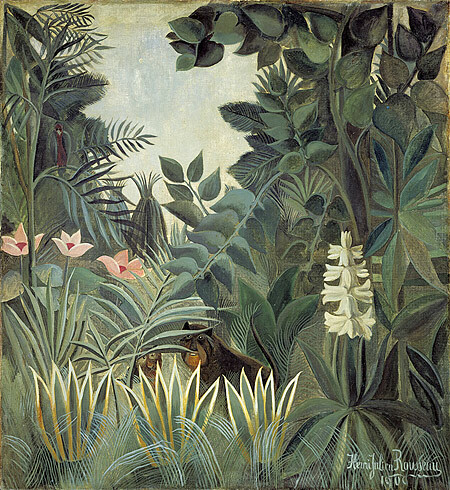 Equatorial - Henri Rousseau. . Wallpaper and background images in the Fine Art club tagged: fine art painting henri rousseau. This Fine Art photo might contain american agave, agave americana, amerikanische agave, agave tequilana, maguey, agave atrovirens, and maguey agave atrovirens.